Happy Friday!! We have been enjoying a week of beautiful weather and crisp Fall air. Sleeping with the bedroom windows open lately has been one of my favorite things, I feel like I wake way more refreshed after breathing in fresh air all night. It hasn't quite been cold enough to put our flannel sheets on yet but in the next few weeks we'll definitely be pulling those out. So cozy! Sharing a few favorites below to kick off your Friday. We have a low key weekend ahead of us and lots of sunshine in the forecast so I'm sure we'll be getting outside with the girls. 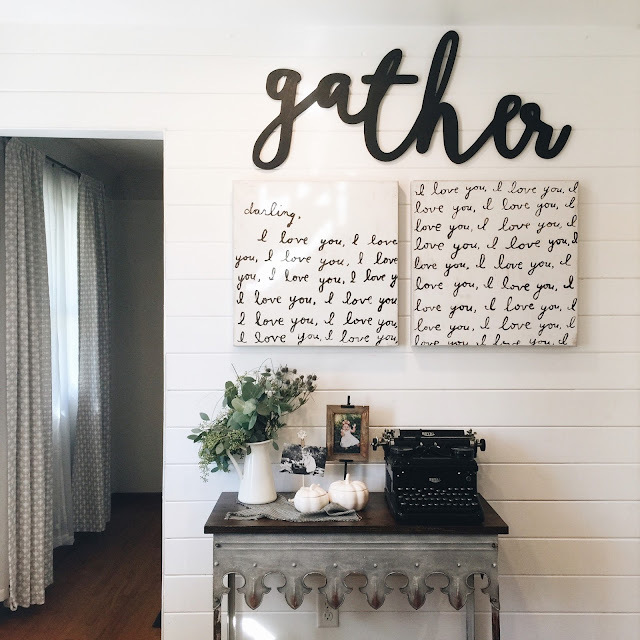 one || This Feather and Birch "gather" sign above our favorite Sugarboo Designs love letter canvases is my new favorite art piece in our home. Immediately after it arrived I had to hang it up and love how it completes the space. It comes in 3 different sizes (ours is the 44") and is handmade by Mama of two, Heidi, in Michigan. 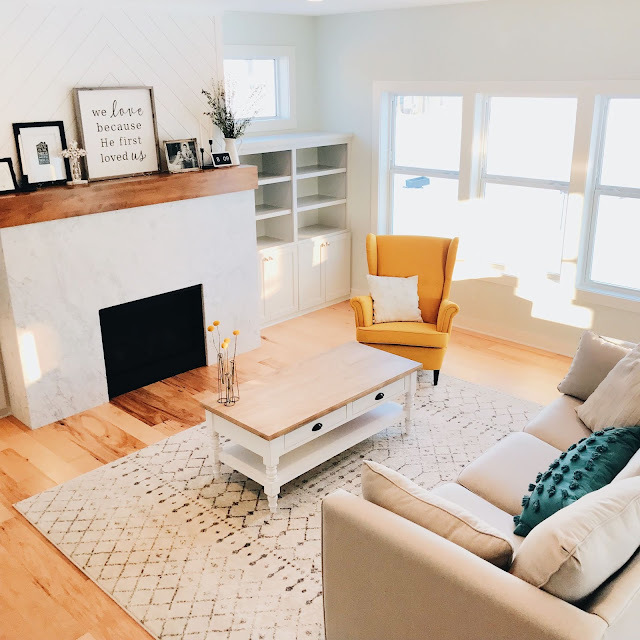 It's perfect for year round but I especially love it as the holidays approach and all our family + friends will be filling our home. Heidi offers it in black as well as an unfinished wood, if you want to paint or stain it a different color. two || I've been wanting to make sweet rolls from scratch for quite some time now, especially as the weather gets colder and the holidays approach. These homemade orange sweet rolls look amazing and these overnight pecan sticky buns look equally delicious. I grew up eating orange rolls so they are so nostalgic to me, and being that breakfast is by far our family's favorite meal on the weekends, I'm hoping to give one (or both!) of these recipes a try soon. 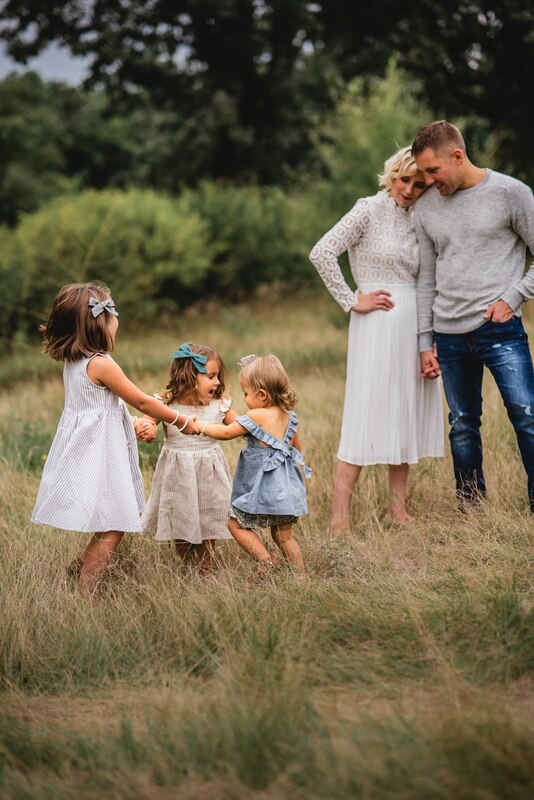 three || This Rylee & Cru swallow dress is one of my favorite pieces in Poppy's wardrobe. Not only is it the ideal neutral for Fall and Winter, it's so soft and equally perfect for playing around the house or paired with leggings and a bonnet when we're out and about. I also love every single dress from Fin & Vince, including the mustard cottage dress with pockets I shared in a photo earlier this week. 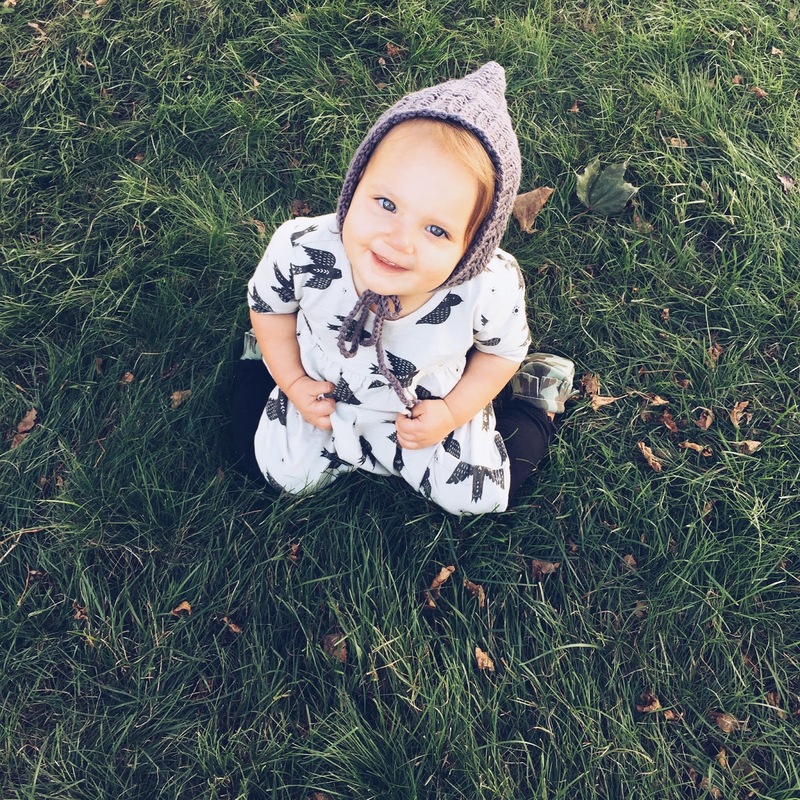 four || Our favorite bonnets this Fall have been from Pixie Herd, they are so warm & cozy and come in gorgeous gender neutral colors, hand crocheted by a Mama who started her shop just a few months ago after making bonnets for her own daughter's first winter last year. 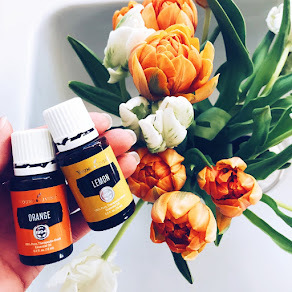 And one is up for grabs on instagram this week @blessednestblog! five || Last but not least, I've had so much fun collecting art for baby girl's nursery. Planning a special space for another little girl has been so much fun and I can't wait to see it all come together as her arrival gets closer. 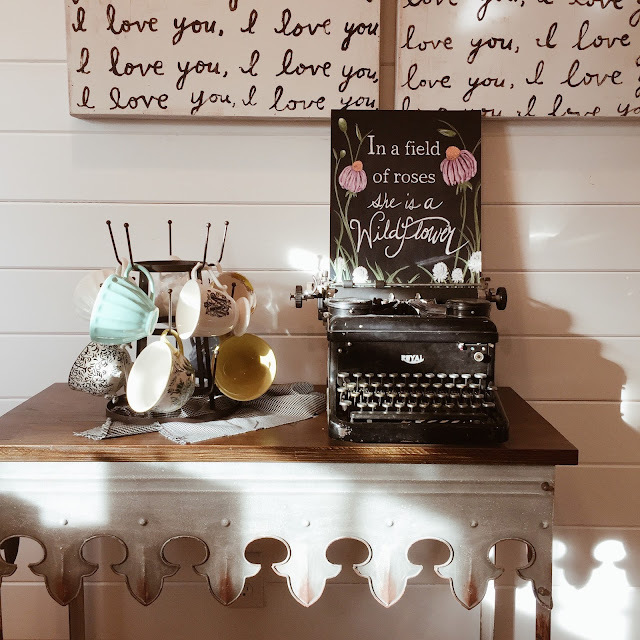 This wildflower art print from Mak & Ruby is one of my favorites. You know my love of all things floral and this quote has been a favorite of mine for a long time! Hope you have a wonderful weekend and that your November is off to the best start!! I haven't brought out the Christmas decorations yet but Olivia has been asking to put up all our Christmas books on the girls' shelves so maybe this weekend we'll take the leap with that!